Hello, friends. I hope you all had excellent Saturdays. I know Joey and I did. Mostly because I managed to avoid doing any of the homeworked I needed to do and went on a run then accompanied Joey to his cousin’s wedding instead. My life only feels complete when I’ve done the Cupid Shuffle at least once during the day. I’m about to hit the hay. I have a busy Easter planned, complete with not one, not two, but three big meals. Buuuut, before I dance off into dreamland I wanted to share a fun recipe with you all. Take it as an Easter present from me to you. Just pretend it’s in a basket. Crumble tempeh into a small pan. Add water, soy sauce, worcestershire sauce and bay leaf. Bring to a boil, then let boil for 10 minutes or until liquid is cooked out. Remove bay leaf and pour tempeh into a bowl to cool. Once tempeh is fully cooled (I put mine in the fridge), dump it into a food processor with the remaining ingredients except the panko, and pulse ingredients together. Mix panko in and form into 10 patties, then place on a greased baking sheet and bake for 20 minutes, flipping halfway through. 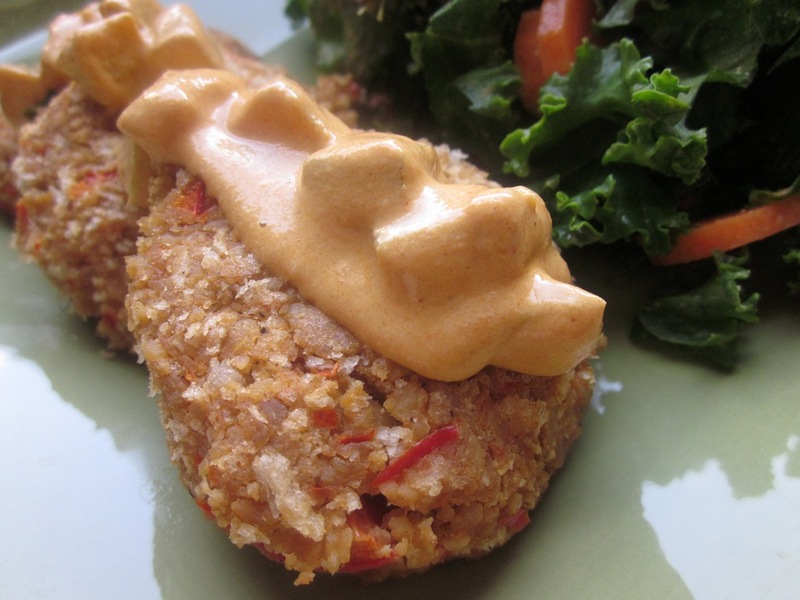 While tempeh cakes are baking, make the remoulade by mixing all the ingredients together. 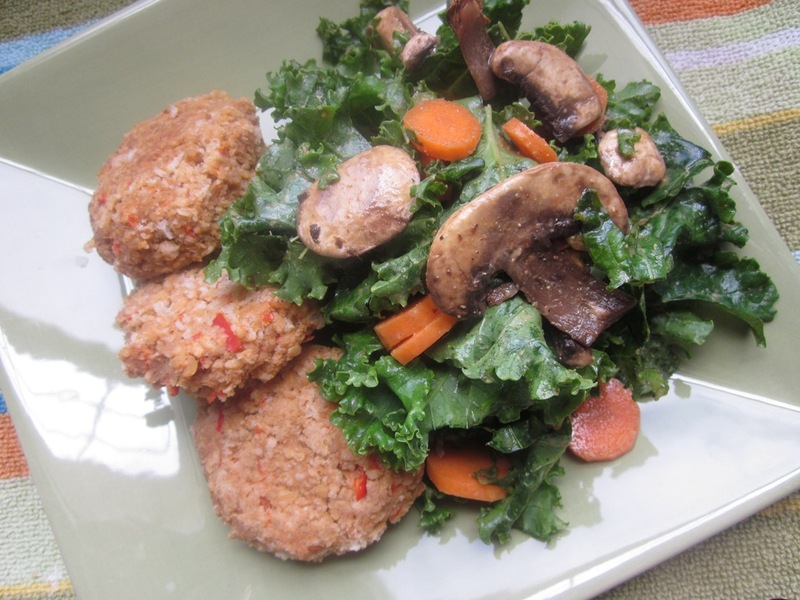 We served our tempeh cakes with a kale salad, a la Mama Pea. 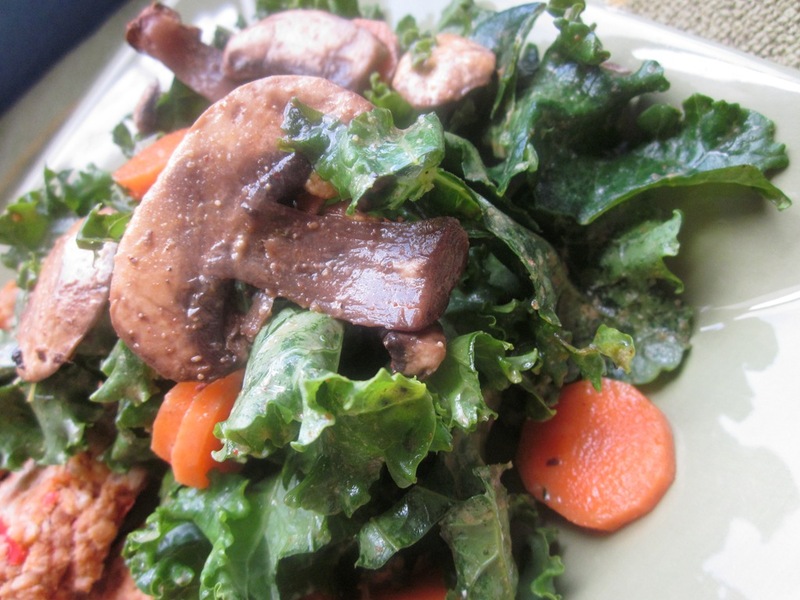 Topped with carrots and mushrooms. 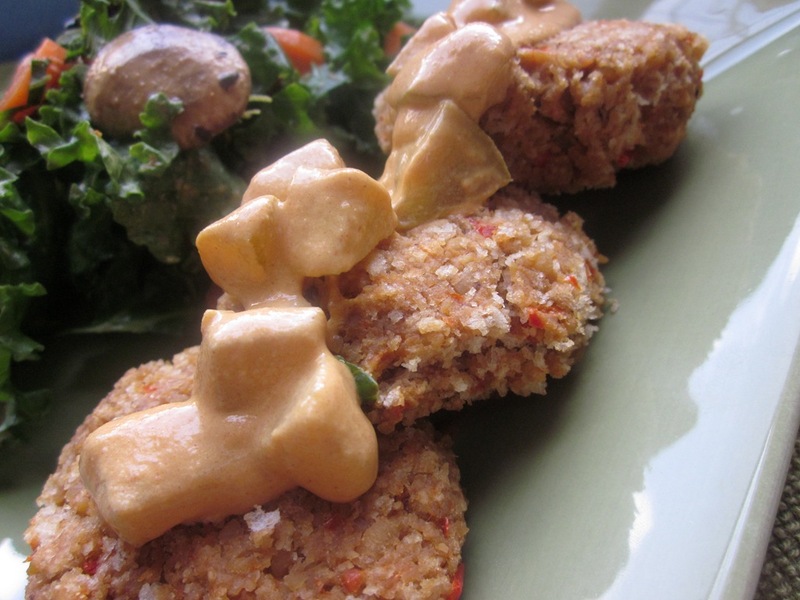 Oddly enough, these kiiiind of tasted like crab cakes. Flavor-wise at least. I was a big fan. Although now I’m just sliiightly excited to have real crab cakes in New Orleans in about two weeks. And then I forced Joey to eat the leftovers for lunch so I could photograph the meal in the daylight. He’s so lucky to have me boss him around. Although I’m pretty sure he wasn’t going to argue anyways. He loved them too. And now, my food loving friends, I’m off to bed. these. look. so. good. 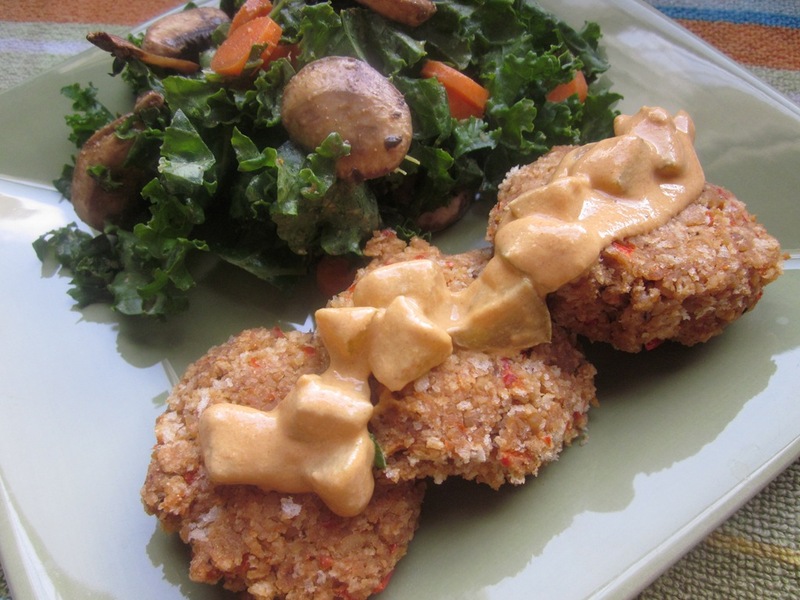 they look like real crab cakes, too 😉 not that i’m very experienced in crab cakes…but based on the ingredients list i’d like these! Oh wow, those look great!